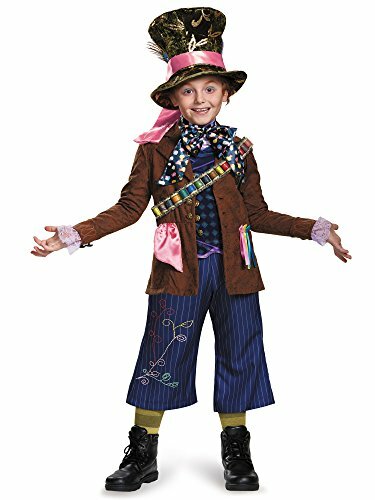 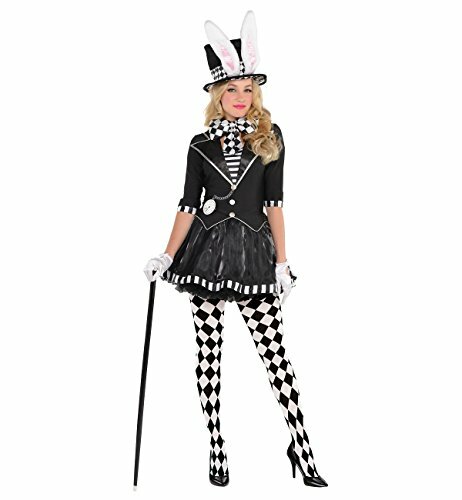 Cute 6 piece deluxe Mad Tea Party costume. 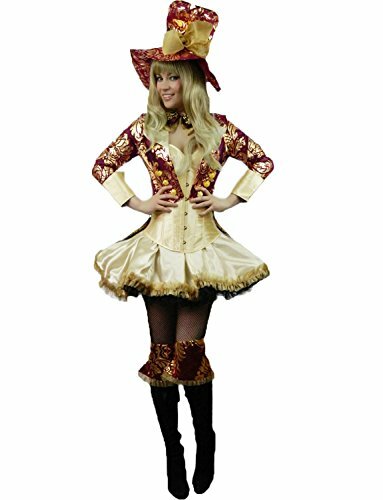 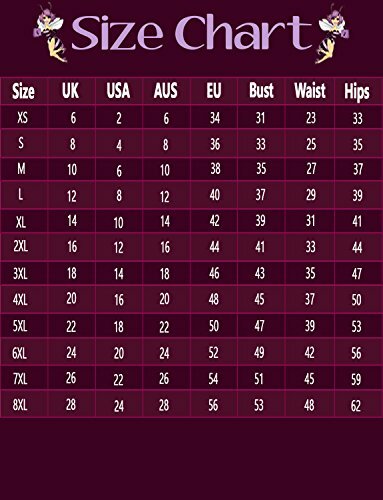 Consists of a cream satin boned corset, a cream satin flounced full circle skirt with black petticoat, a burgundy and gold filigree jacket with tails and back bow, matching boot toppers, a bow tie, and a large top hat with removable gauze tie. 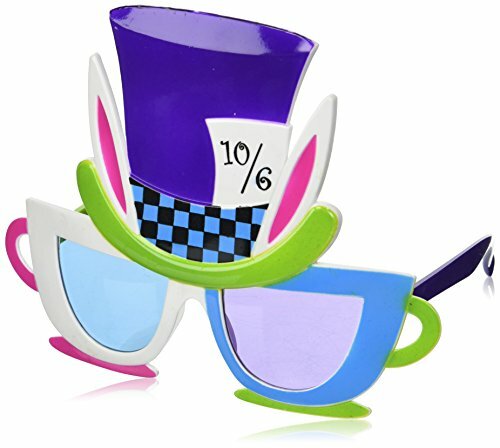 Funny Wonderland glasses, with tea cup shades and a top hat with rabbit ears.